The first part of the season is behind us. Our target was to improve from what we got in first four races of 2012, and, obviously, we have gain some better results, and, the most importantly, a few more points. Winning and clinching podiums has given a good basis for this championship campaign. We have not had the fastest car, but it’s realiable and competitive, so no complaints so far. 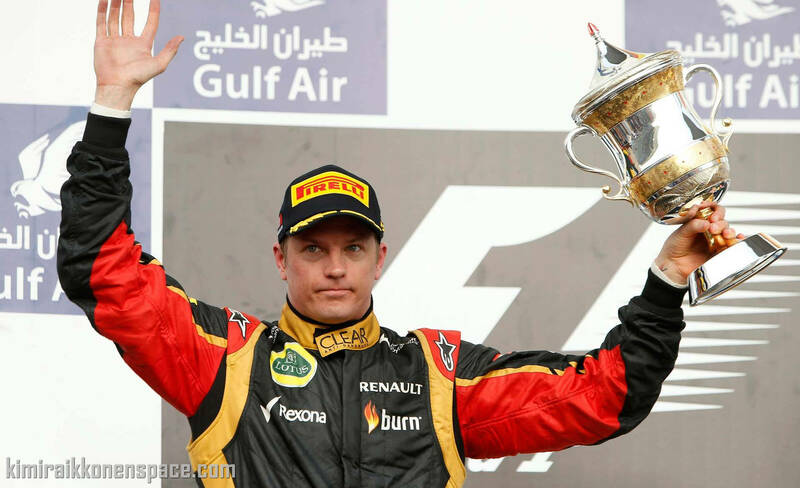 The Bahrain weekend showed again, how crucial it is to get a top result in qualifying. We didn’t have the speed for one lap, my lap was not perfect and all in all, we dropped too many places behind the leaders. The race itself was a matter of taking care of the tyres. I was already on Friday thinking of two stops, and, it prooved to be the fastest way for us in the race. It could have been a little bit easier with the Force India, but we played it safe and I stopped quite early. There was no way to fight for the victory against Vettel. We got second and third place and, for sure, that was a great result for the team. Obviously, we have work to do to keep on fighting with the top guys, but so far, so good. I’m quite happy with that. Now it’s time to move to European season, starting from Barcelona. This is so refreshing time of the year. I don’t like the long journeys, so it’s nice to be that much closer to the racing circuits from home. For Barcelona everybody will bring new parts to their cars. It’s going to be interesting to see, how it turns out to be there in Friday practice.